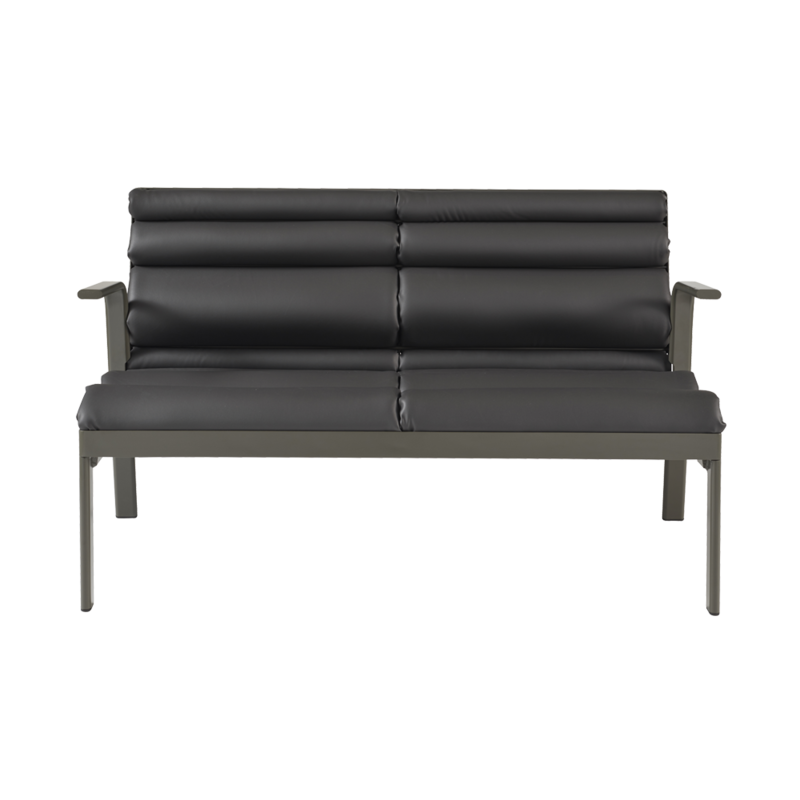 The Pierre two seater low chair is composed of an aluminium frame with a matt lacquered finish. 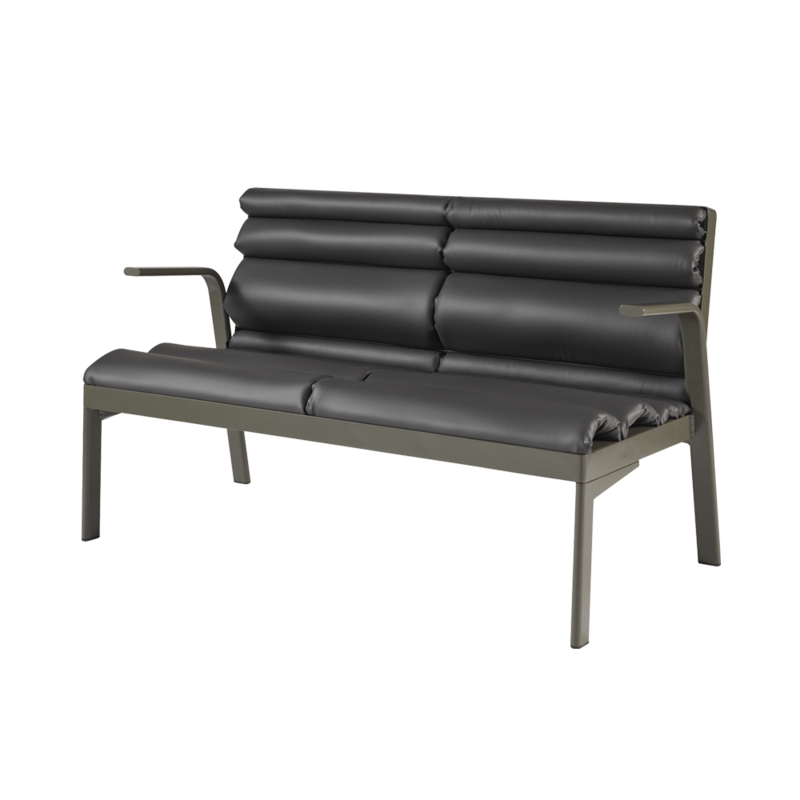 The removable seat and back cushions are woven onto the frame providing comfort and a generously cushioned surface. A fold in the back acts as a grip. 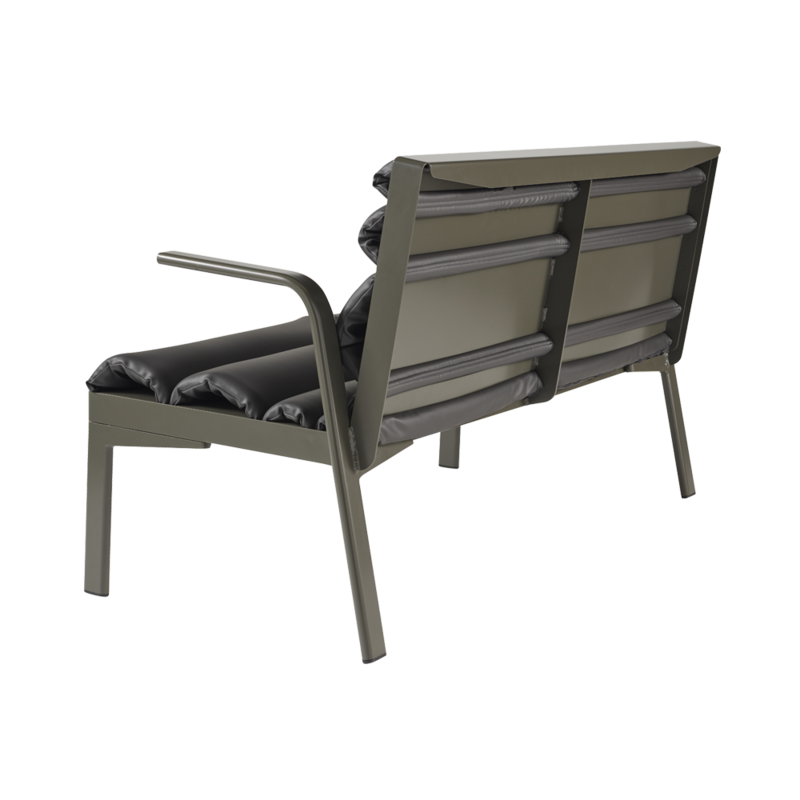 The low chair can be customized with a selection of 11 indoor and outdoor fabrics.